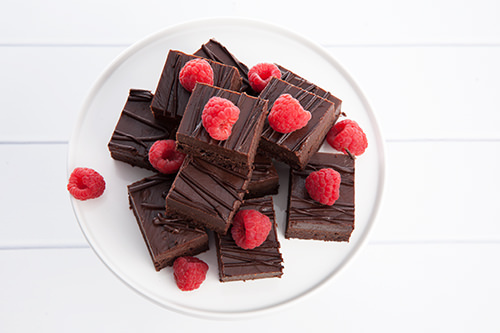 This Nutella Chocolate Fudge Brownie recipe is one the most unique and tasty ways we’ve come across to us the delicious spread. 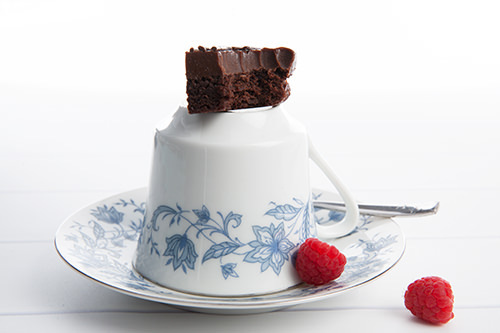 The reward is a rich chocolate fudge brownie, topped with a luscious layer of squishy Nutella fudge. What could taste better? 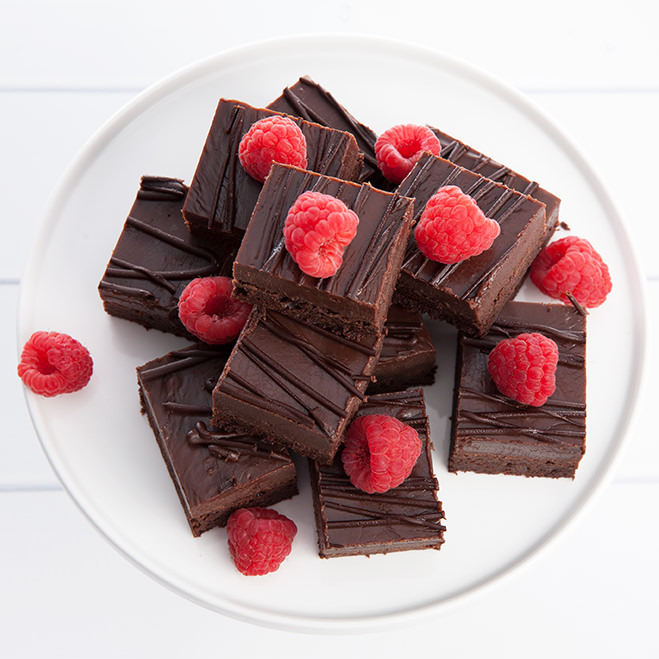 My favorite part is the Nutella fudge… I could probably almost eat that on its own! 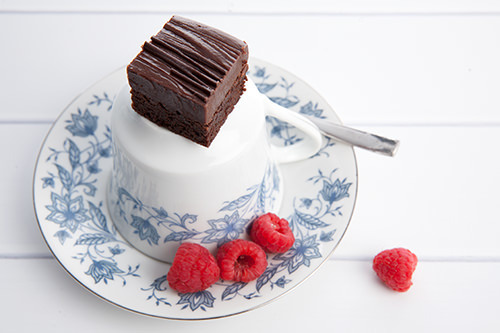 Nutella Chocolate Fudge Brownie with Raspberries a top. 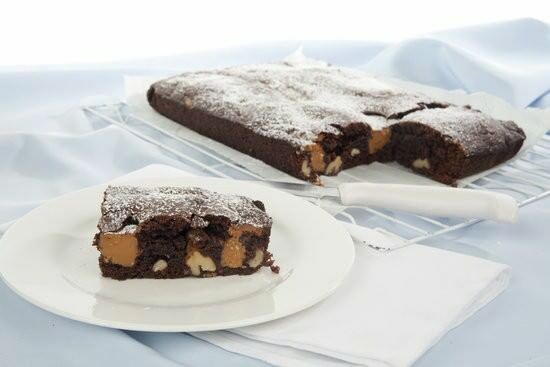 Be warned though, this recipe makes quite a large slice… and it’s hard to stop at one piece! I made sure to send our friends home with a “take away pack”. I know this sounds like I didn’t enjoy the chocolatey goodness, but that is not the case. Each time I packed up a “care package” to give to unsuspecting friends I ate almost as much as I packaged! The problem (or good thing) with the Nutella slice is it isn’t too rich or overpowering like some dark chocolate recipes can be! Which means you want to eat more… and more! Even as I was taking the shots for this story one of the fudgey squares came a little too close to my mouth… you can see what happened. Preheat oven to 180 Degress Celcius or 350°F (176°C). Line a 9×9 baking pan with backing paper. Combine the butter, sugar chocolate and vanilla extract in a large saucepan and melt over a low heat. Add the flour, cocoa, baking powder and salt to the saucepan and stir until combined. In a microwave safe bowl combine sweetened condensed milk, butter, chocolate melts and Nutella. Microwave for one minute intervals. Continue to stir and microwave until the mixture is smooth. *Note: The base doesn’t need to be completely cooled before the topping is added. Refrigerate the Nutella slice until serving. Here is a unique use for Nutella that you might not have thought of. 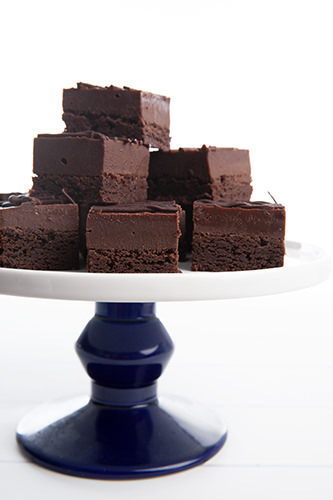 Its an easy to make recipe and delivers a "chocolate fudge brownie" that everyone loves! *Note: The base doesn't need to be completely cooled before the topping is added. Refrigerate the slice until serving. Other than the fact that this is YUMMY slice the other great point is it’s simple to make! 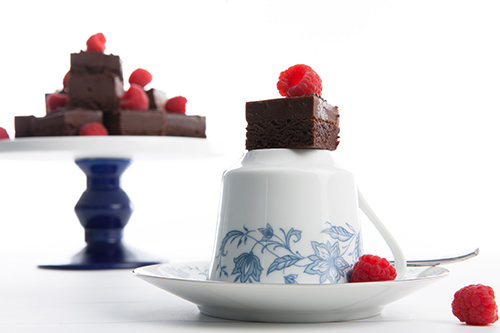 The base is a melt and mix chocolate brownie recipe which uses just one bowl. 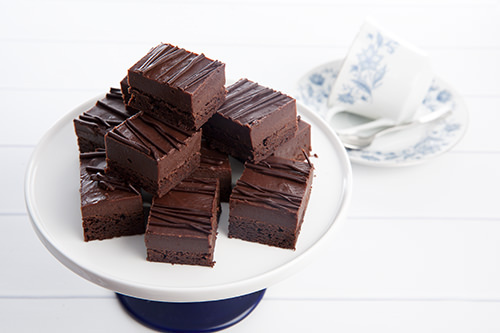 While the brownie cooks, you make the fudge in the microwave in another bowl. Simple! 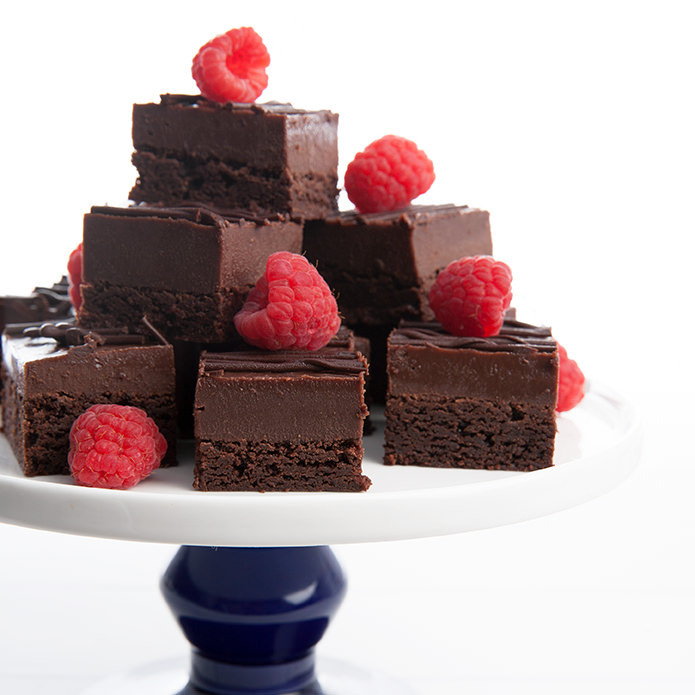 Tell me readers, do you ever get tired of chocolate? Can there really be too much of a good thing?